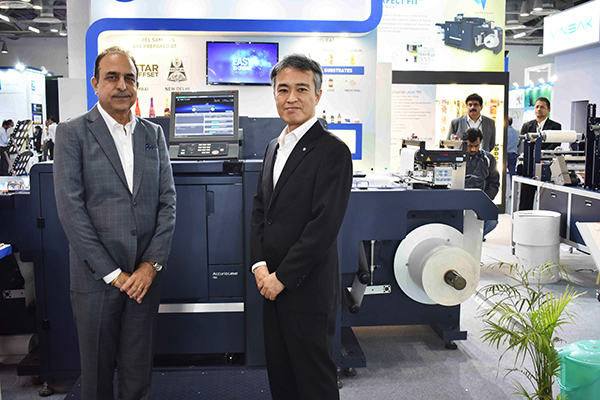 Konica Minolta showcased its digital label press AccurioLabel 190 at Labelexpo India 2018. A future-ready product designed for the dynamically-evolving market demands, the AccurioLabel 190 offers high print speeds and stability, as well as faster start-up and reduced setup time. The digital press is capable of printing on different media including paper, non-tack paper, tack paper, synthetic paper, PP and PET of variable thickness. “Our participation at the Labelexpo India has allowed us to showcase the superlative value that Konica Minolta’s innovative label and package printing technology can drive for print and printing businesses. We are delighted with the response that we have received at the event, and will be hoping to build on this highly-encouraging reception by participating in more such industry events in the future,” Mori added.